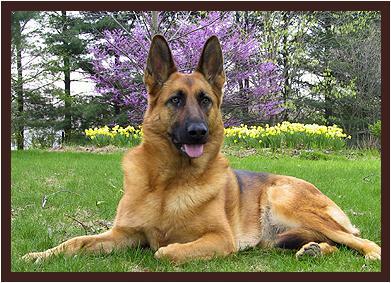 Search and adopt a German Shepherd near you. It stands about 25 in. (64 cm) high at the shoulder and weighs from 60 to 85 lb (27.2—38.5 kg). Its double coat is composed of dense, woolly underhair and a medium-length, harsh, straight or slightly wavy outercoat. Developed over centuries from sheepherding and farm-dog stock, the German shepherd has been trained in a variety of specialities other than herding, e.g., as a police dog, as a carrier of messages and a patrol dog in war, and as a leader of the blind. It is also very popular as a pet.